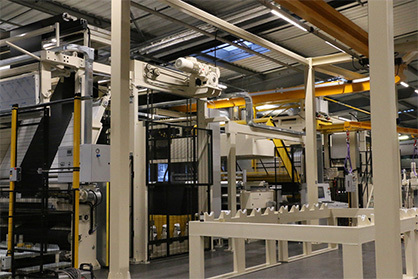 The new extruder increases the Chomarat production capacity for coated textiles and allows production in larger widths. The technology consumes less energy and emits very low level of VOCs, in line with the Group's sustainable approach. It also supplements existing solutions for developing biosourced coated fabrics. "This is a strategic investment for Chomarat, as in addition to PVC, we will be able to work with new materials such as TPO, TPU and new biosourced materials. We will offer innovative solutions for all our markets—pipes, luxury bag, automotive and protection," concludes Philippe Chomarat.